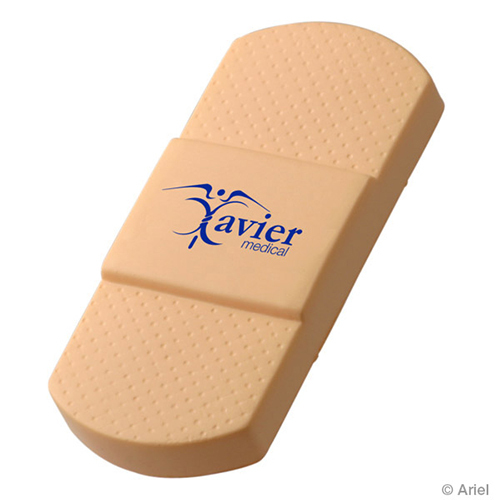 If you are stuck looking for a great promotional give-a-way, consider an Adhesive Bandage stress ball. These adhesive bandage stress relievers can be custom imprinted with your business message and/or logo. Adhesive bandage stress balls are squeezable and strong. Item Size : 4-1/4" x 1-3/4" x 1/2"